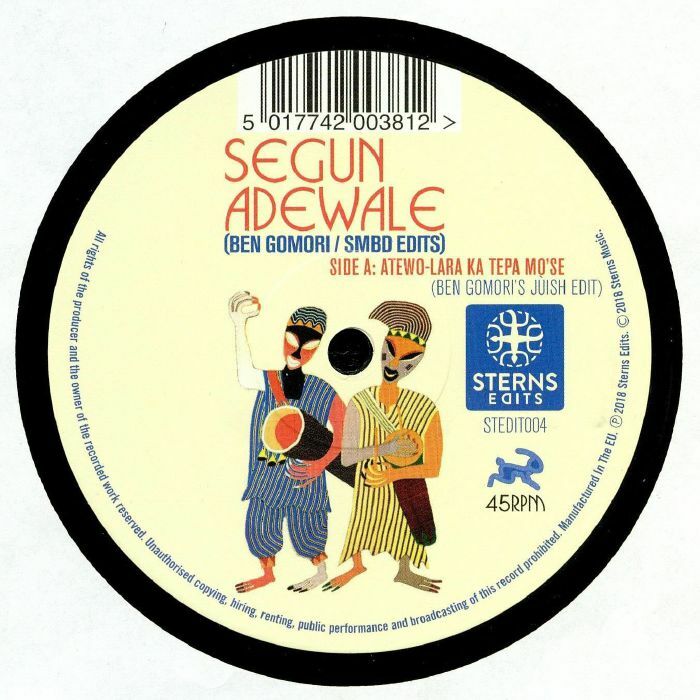 Segun ADEWALE Segun Adewale vinyl at Juno Records. On this fine EP from the Sterns Edits camp, Ben Gomori and SMBD (AKA Gilles Peterson favourite Simbad) take it in turns to rework cuts from 1980s Nigerian star Segun Adewale. On the A-side, Gomori gets to work on "Atewo-Lara Ka Tepa Mo'se", wrapping Adewale's original vocals and glistening juju guitar solos over a rolling, Ron Trent style Afro-deep house groove. It's super-sweet and wonderfully summery, suggesting we'll be hearing it in more than a few DJ sets over the next few months. Simbad, meanwhile, serves up two versions of "Ojo Je": a hustling, polyrhythmic disco excursion (the "SMBD '85 Raw Disco Mix") and a far deeper and more trippy excursion rich in warm sub-bass, reverb and delay-laden vocal snippets and ricocheting synthesizer motifs (the superior "Rascal Dub").